Craving a Reese’s but don’t want to drive to the store? 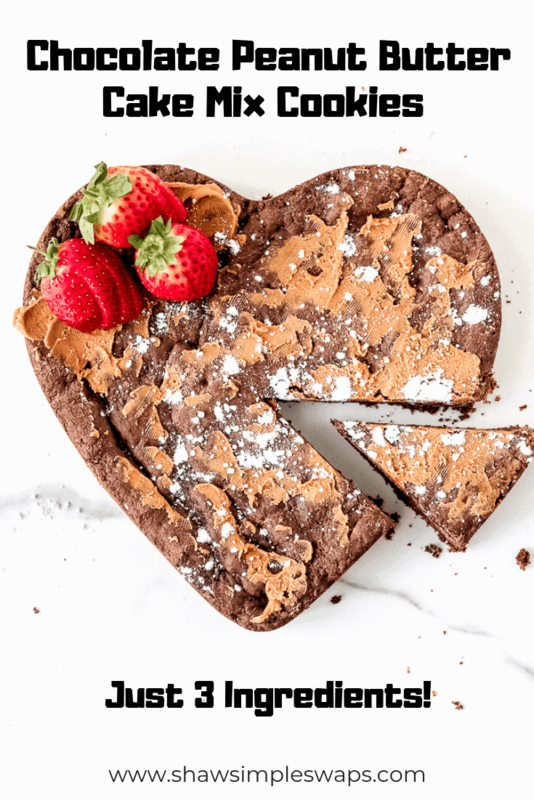 Satisfy that sweet tooth with the EASIEST three ingredient Chocolate Cake Mix Cookie Cake! Sometimes I have these ideas (like the Crunchwrap Supreme) that I think are BRILLIANT. 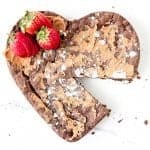 This Chocolate Cake Mix Cookie Cake is one of them. 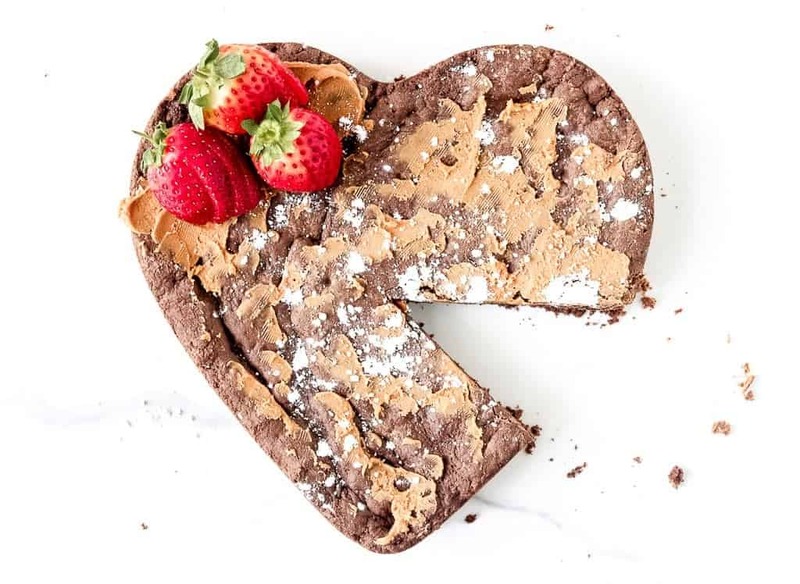 You see, in my mind, this Chocolate Cake Mix Cookie Cake goes viral. Instantaneously, my blog is being picked up by Today Food, Food 52 and heck, even Yahoo. Finally, after over 5 years of blogging, I make it big time. While I’m not sure this Lizism fantasy will be coming true this week or not, I can promise you this: it’s freaking delicious! 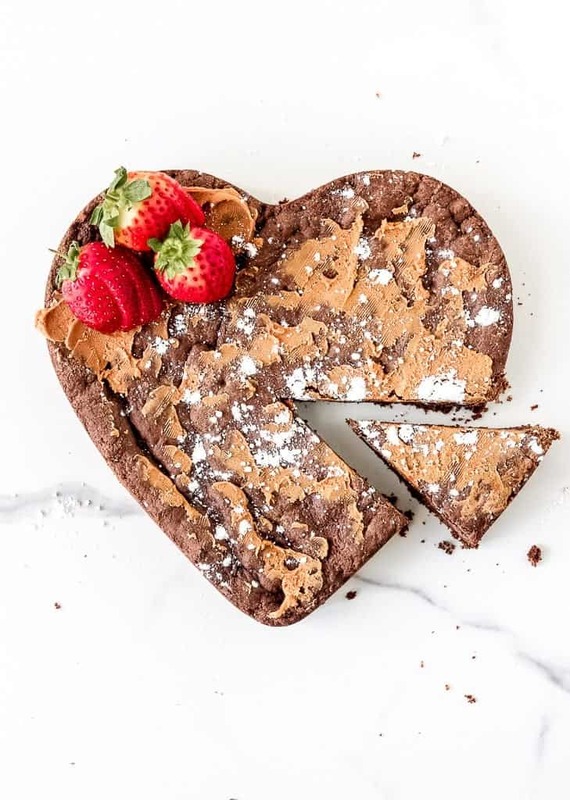 Make this Chocolate Cake Mix Cookie Cake (or hell, make it into cookies if your heart so desires) and lets all celebrate the beauty of chocolate, peanut butter and a little extra time! Preheat over to 350 degrees F. To a large microwave safe bowl, add peanut butter and microwave for 30 seconds (peanut butter should be soft but not burnt). Whisk together eggs and peanut butter. Add in the chocolate cake mix, mixing with a spatula and a metal spoon to help push down batter from the spatula. Note, batter will be thick and require a little muscle to mix! If needed, add a splash of milk to help mix. 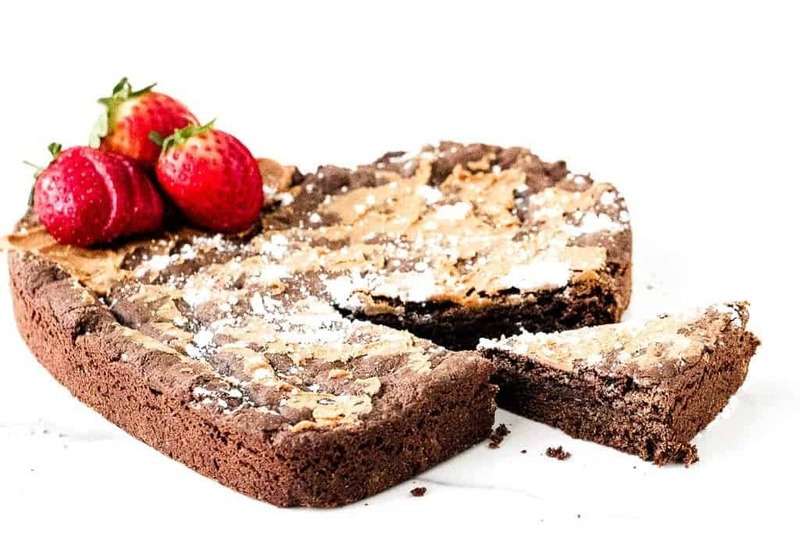 Spray your favorite cake pan (9-inch pan) with cooking spray and spoon in batter. 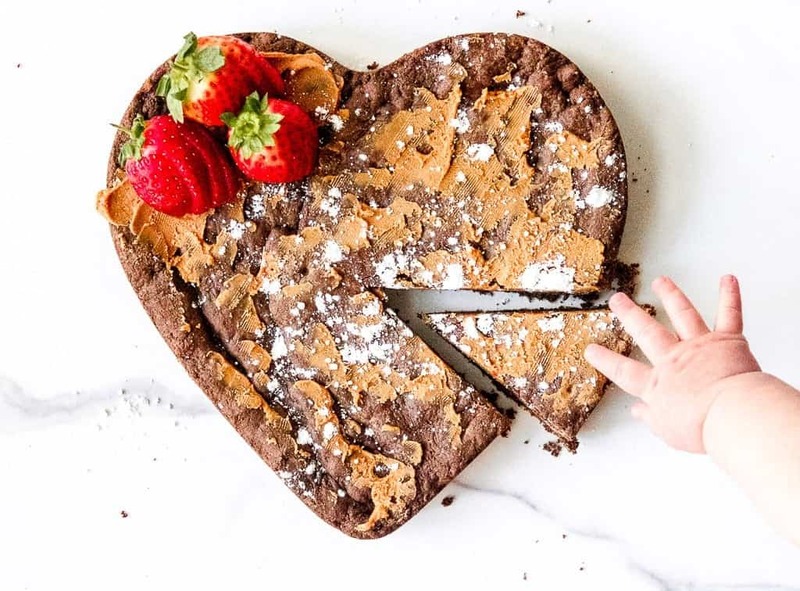 Press down with the back of the spatula to even cookie cake. Bake for 20 minutes. Remove, let cool and enjoy! To make cookies, spray 2 baking sheets with cooking spray and portion batter into 20 rounded cookies. Bake for 12 minutes. Not a fan of the sweet treats? Check out my No Added Sugar Dessert Fruit Salsa Nachos then! Now tell me, what idea do you have that is going to go VIRAL? !